I’ve asked on the shoutbox before but have evidently missed the answer. Do we have a punter and kicker yet? I believe there is a kid that originally committed as a PWO at Penn State that has since switched up and is now coming to play for us. Is this the kid from Cox Mill? [quote=“trickynbc, post:2, topic:32312”]I believe there is a kid that originally committed as a PWO at Penn State that has since switched up and is now coming to play for us. I believe so, maybe 2K can confirm? https://247sports.com/player/john-brosnahan-46049097 - I’ve heard he will be a Kicker. Could do both but probably just a Kicker. https://twitter.com/Dinothedinosuar - found this kid on Twitter last week, says he’s a Punter here. In this article it says he is one of the best punters in this class. Hard to believe he wouldn’t be punting or competing for it this spring. Penn State has added a walk-on pledge from Concord (N.C.) Cox Mill punter John Brosnahan. He’s ranked the No. 16 punter in the country according to Chris Sailer Kicking, where he was the Sailer Vegas Camp Punt Consistency Competition Champion and the NC Fall Camp Punt Champion. Sailer offered this evaluation last fall. Kornblue Kicking ranks Brosnahan as the No. 11 punter in the Class of 2018. [quote=“NinerLove, post:7, topic:32312”]In this article it says he is one of the best punters in this class. Hard to believe he wouldn’t be punting or competing for it this spring. Kornblue Kicking ranks Brosnahan as the No. 11 punter in the Class of 2018. [/quote]I hear ya, just going off of what I was told. Looks like a pretty great get!! Looks like he has a PWO offer from Alabama, so we’ll see how this goes. Hope he picks us. I like his tape on Hudl. Arthur Hart is getting some serious NFL look, so I don’t think its coincidental that we are getting some interest. If anything, our offense lends them more chances to shine. Bama’s kicker dies of boredom. 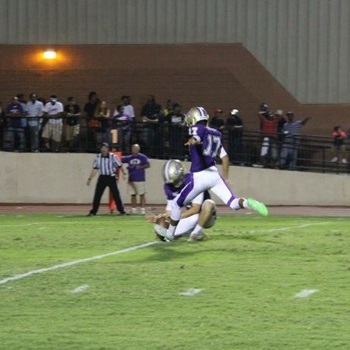 The kid from Cox Mill WAS a primary punter, but is very capable of both. Anything that’s happened since he got to campus, I wouldn’t know about. I do think he is more than capable of doing both. I can say with certainty that we have gone after both positions hard on the recruiting trail. This dude went to the same high school as Barden, Ford and Quattlebaum.